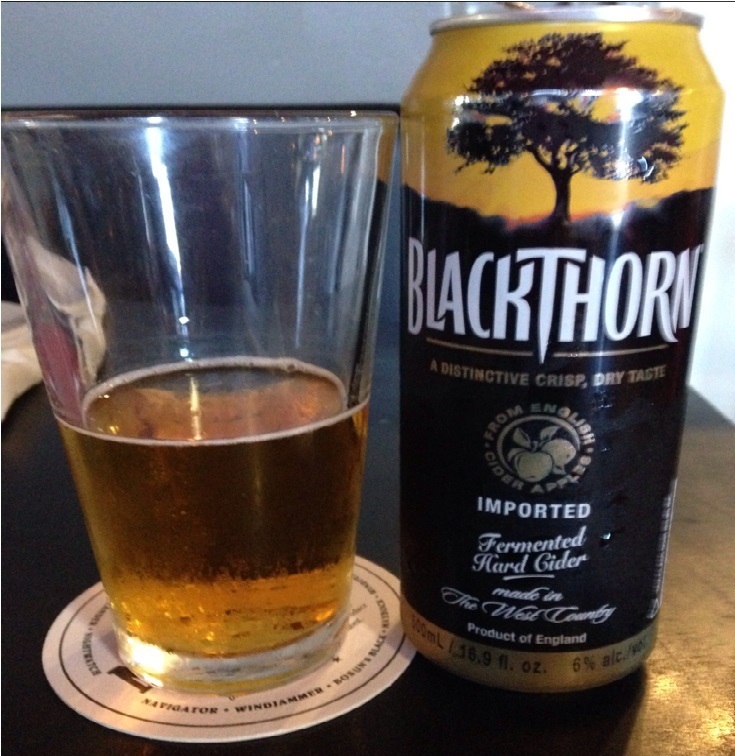 Review of Blackthorn “Dry English Cider”, the U.S. import version. Cider Description: Blackthorn is a dry, yet sweet apple cider with bushels of flavor to quench your thirst on even the hottest days. Cidery Description: One of the country’s best-known and most loved ciders, Blackthorn is firmly rooted in the rugged hills of Somerset – a county which inspires a spirit of courage and determination, with its distinctive clean, crisp taste, Blackthorn Cider is founded on a passion to never settle for ordinary. Grab life by the thorn. How Found: I’ve seen it while browsing Total Wine (they often place it next to the cinnamon whiskey), and seen some reviews online. However, this time it was only a choice between two ciders, which was easy as I don’t like ginger. First Impression: Medium orange amber. Slight carbonation. Seemingly fake English “apple” scent. Opinion: Between semi-dry and semi-sweet. Slightly rich syrupy taste with only a slight bitterness. Interestingly enough the ingredients are “cider, glucose-fructose syrup, citric acid, ascorbic acid, colour, contains sulphites”. So, like most commercial products, this isn’t “real” cider. Not very complex of a flavor. I find it interesting they import so many of these “fake” ciders. It was easy to drink and went well with pizza though. I easily finished the entire can even though it was the middle of the workday! Most Similar to: Crispin Browns Lane, which I reviewed recently. Interestingly enough both ciders are at exactly the same price point in my area. I much prefer the Crispin Browns Lane though, which seemed more flavorful and “real” (although it also has added ingredients, sucrose, ascorbic acid, & sulphites). Closing Notes: This is a fairly solid commercial cider that I would choose over Angry Orchard, Strongbow, etc, if it was offered while I was out. I probably wouldn’t however choose to buy this, in contrast to Crispin Browns Lane. Have you tried Blackthorn? What did you think?